Dr. Ian Traill was born in Dundee, Scotland in 1952. Dr. Ian came to the Lord under Pastor Tony Smits in Ballarat Victoria Australia under the Christian Revival Crusade banner. The CRC is a Pentecostal church movement who believe in the gifts of the Holy Spirit to be in action within the Church. Ian had planted a church in Daylesford Victoria Australia and now he has been involved in planting Churches and 35 Bible Colleges in China, Africa and throughout Asia. We have been conducting Bible classes and training people in the area of leadership with the view of them starting their own home church and Bible Colleges. Our Ministries’ call is to look for the men and women of God who will become the future leaders of the Church training them in all areas of leadership with an eye on them planting a church with a Bible teaching component, for the equipping of the saints. Ps. Tony was born in Holland in 1938 and migrated with parents to Australia in 1952. He is married with three grown-up sons. He lived in Adelaide initially and did apprenticeship as carpenter and then he became self-employed as sub-contractor. He was saved in 1961 in Adelaide and entered Bible College and pastored first church in Christies Beach in 1963. He has pioneered a number of churches in South Australia, Victoria and Australian Capital Territory, often working as a carpenter initially and then fully supported by the church. Over 40 years of ministry, Tony pastored in 24 churches, planted 20 churches and twice helped restore broken churches. He has ministered regularly in India and P.N.G. Bible Colleges and Pastor’s Seminars. Tony moved from Ballarat to Bendigo in January ’97 and assisted in Bendigo C.R.C. church on a part-time basis and now spends most of his time in itinerant ministry. At present Tony is a coaching minister to nine pastors and networks the NW and SW regions of Victoria where he has regular input into 10 churches. He holds a Bachelor of Theology Degree, and regularly lectures for C.R.C. and Vision training courses. Fred said, “There is only one way to God, and that is through Jesus Christ, but there are many strands that either draw us to Christ or pull us away”. A significant “drawing towards” occurred in 1957, when at the age of 20 he met a man named, named Arthur Stokes. Arthur invited him to a Gospel Chapel in Liverpool, England and showed him his need to receive Christ. One of the Scriptures he showed was John 3:16, which Fred already knew! Fred surrendered his life to Jesus at that time. A few days later he sailed for Australia. 1959 was a significant year, as that was the year Billy Graham came to Australia. Among the many thousands who attended the Billy Graham Crusade was Tony Smits. Tony started attended same church that Fred was attending.Within six months of being saved, Tony was starting a new assembly in Christies Beach in South Australia. Fred started going with him as his right-hand man. He also began preaching at Tony’s church. After he retired from the work-force at the age of 55, Fred went to Hong Kong to join with Pastor Don Smyth’s Philippino Ministry. There he helped train the sub-shepherds, Philippino girls who were serving as domestic helpers to rich Hong Kong or Expatriate families. He went to China and taught Chinese student teachers and could see great improvement in those students’ pronunciation of English. The Phonics English School had some concerns over Fred’s age and health, so his contract was terminated. But just as one door closed, another one opened. Tony Smits wrote to us at Traillblazer Ministries that there was someone in China who might be interested in teaching English in China. 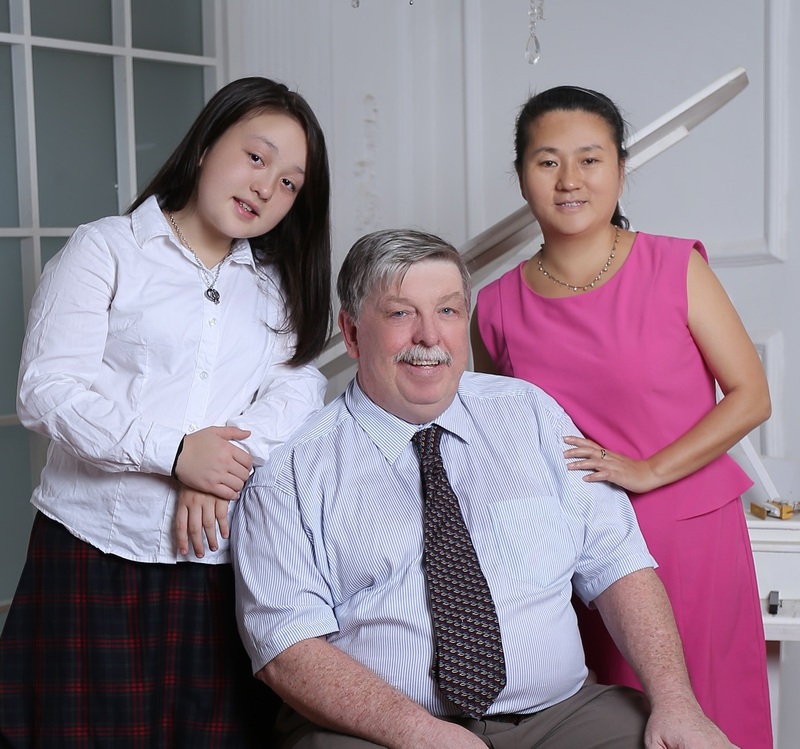 It was a year later that Fred began teaching English in Changsha, China. Although lacking any formal academic qualifications, Fred demonstrated to a College that he could be an effective English teacher. He is also able to “do the work of an evangelist”, and has been successful in leading many Chinese to Christ. He has prepared Bible college questions and multi-choice answers for new Christians and trainee pastors. Since returning to Australia, he has edited many of Pastor Traill’s books and is currently preparing study materials for pastors in Africa and other places.